Governor vetoes unfunded MAP grant bill. SB 2043, passed by legislative Democrats on partisan roll-calls, is a $721 million appropriations bill for higher education, without a funding source to pay for the appropriations. The bill “would explode the State’s budget deficit,” Governor Bruce Rauner explained in his veto message. SB 2043 purported to appropriate FY16 money for Monetary Award Program (MAP) grants and community college programs, but was not backed up by new or existing revenues to the State. Prior to the vote on SB 2043, House Republicans introduced our own higher education funding bill – a better, constitutional way to fund higher education. HB 4539 would provide adequate funding for Illinois public universities, community colleges and MAP grants, while providing an actual funding mechanism to pay for the appropriations. Unfortunately, the Democrat majority would not allow the House to debate or vote on HB 4539. Therefore, House Republicans did not support SB 2043, due to the lack of a funding source and the failure to include public universities. Our members thought it was a sham to “support” a set of programs for which there is no money, no matter how desirable the programs are themselves. The Ledger, the balance sheet published online by Comptroller Leslie Munger, shows that as of Tuesday, February 23 accumulated “backlogs” (unpaid bills) facing the State topped the $7.0 billion mark. Rauner’s veto was filed on Friday, February 19. Significant increase notched during 2015 in Chicago-area housing prices and values. While the increase adds to the burden of first-time home buyers in the Chicago area, it also signals increased equity for Chicago-area homeowners who have already bought a home. In an announcement posted on Wednesday, February 24, the Illinois Association of Realtors (IAR) announced that 6,018 homes changed hands in the nine-county Chicago metropolitan area in January 2016. The median Chicago-area home price of $191,000 represented a significant increase of 9.1% from the levels notched 12 months earlier. While home sales and prices increased throughout Illinois, well more than half of the increase was credited to the Chicago area. More than 70% of total January 2016 Illinois home sales were homes that changed hands in the nine-county Chicago area, and Chicago-area homes continued to be valued at levels significantly higher than homes in other sections of Illinois based on current market conditions. For example, the median price of a home in downstate Springfield, the state capitol, was $125,730, less than two-thirds of the price of a median Chicago-area home in January 2016. Relatively low interest rates were credited as one factor in the reviving housing market. The monthly average commitment rate for a 30-year, fixed-rate mortgage in the Illinois home transactions tracked by the IAR was 3.87%, not far above the year-earlier rate of 3.66%. Judge strikes back against red-light camera program; decision not yet fully litigated. The circuit-court decision, handed down on Friday, February 19, could affect the validity of tens of thousands of tickets and fines issued within Cook County since 2003. The decision reflects the longstanding contention by many Illinoisans that the current red-light camera program could be fatally flawed in constitutional terms. The federal and State constitutions give a defendant the right to due process, but the automated technology set up to generate Chicago red-light violation notices (and levy fines upon alleged violators) was not set up in such a way as to enable traditional due process to take place. In particular, no provision existed within the red-light-camera protocol for the issuance of a second notice of violation. The non-existence of a redundant notice procedure, in the eyes of Circuit Court Judge Kathleen Kennedy, created at least the appearance of a highly improper presumption of guilt. Judge Kennedy’s decision has not yet been fully litigated. As a significant number of tickets have been issued and fines levied since 2003, it is not likely that any movement will take place to implement this decision until significant additional legal activity has occurred. The Chicago red-light camera program is operated with the active cooperation of a private partner. The private partner is currently Xerox, chosen in 2013 after the previous partner, Redflex Traffic Systems, fell under suspicion of having maintained improper ties to individual employees of the city of Chicago. Former Chicago traffic official John Bills was later convicted in federal court of taking up to $2 million in bribes from Redflex. Bills’ conviction, which is expected to be appealed, was declared on January 26. Supreme Court issues rules update; cameras permanently allowed in some Illinois courtrooms. Until 2012, most Illinois courtroom proceedings could not be photographed. The ban helped avoid what was considered to be a distraction from the serious work of justice, but development of smaller and digital-based image media helped to chip away at the rationale behind the longstanding policy. In January 2012, a pilot program of Extended Media Coverage (EMC) was put into place allowing visual media entry into many Illinois courtrooms under strictly limited conditions. The 24 separate judicial districts of Illinois, each one of which is governed by a chief judge, were given autonomous leeway to decide whether to apply for approval to sign onto the pilot program, and 15 of the 24 districts have applied for and received EMC approval. The Illinois Supreme Court, which issues rules governing procedure in circuit and appellate courtrooms across Illinois, has now made the four-year-old pilot program permanent. The order to make permanent these Illinois Supreme Court rules, which was filed on Monday, February 22, is not expected to create sensational scenes of Illinois justice. Limitations on the imaging of Illinois courtroom participants will ensure that these images will continue to be subject to strict limits and controls, and nothing in the new rules will compel the nine Illinois judicial districts that have not yet adhered to the program to do so. The 2012 pilot and 2016 permanent rules do not apply to federal courtrooms operating within Illinois. Illinois small business owners express concern about partisan gridlock. A sampling carried out by Business News Daily showed a strong correlation between perceptions of the current General Assembly gridlock and the State’s deteriorating budget picture and credit rating. Moody’s Investors Service, the world’s largest credit rating agency, has lowered Illinois’ general obligation bond rating to Baa1, only three steps above “junk bond” level; this Baa1 rating ranks Illinois 50th among the 50 states. Respondents also pointed to relatively high Illinois tax rates. Total taxes payable by ‘subchapter C’ corporations are charged at a 7.75% rate on total taxable corporate income; this blended rate includes the supplementary corporate personal property replacement tax. In addition total sales taxes, in some municipalities, can be as high as 9.75% whenever there is an over-the-counter sale of fully-taxable goods and services. While there are ways to reduce some tax burdens in some specific circumstances, smaller businesses are often unable to take full account of them. The budget gridlock adds to uncertainties seen by the business owners sampled by Business News Daily. Illinois has more than 1,169,000 small businesses and self-employed residents. Workers’ comp causation standard could lower cost of hiring Illinoisans, create jobs. Under current law, workers’ compensation insurance rates – paid for by the employer – are a significant element in the overall cost of creating or maintaining a job in Illinois. Several features of the Illinois workers’ comp law, such as “causation,” make the system more expensive than the one followed by other and neighboring U.S. states. “Causation” is the comprehensive word that describes a series of tests that determine when an injury to a worker has taken place and whether the injury is covered by workers’ compensation. Under Illinois’ current causation standard, if there is an injury that has had multiple causes, the workers’ compensation system (and thus the employer and his insurer) are responsible if the injury was partly caused by the workplace in any way. 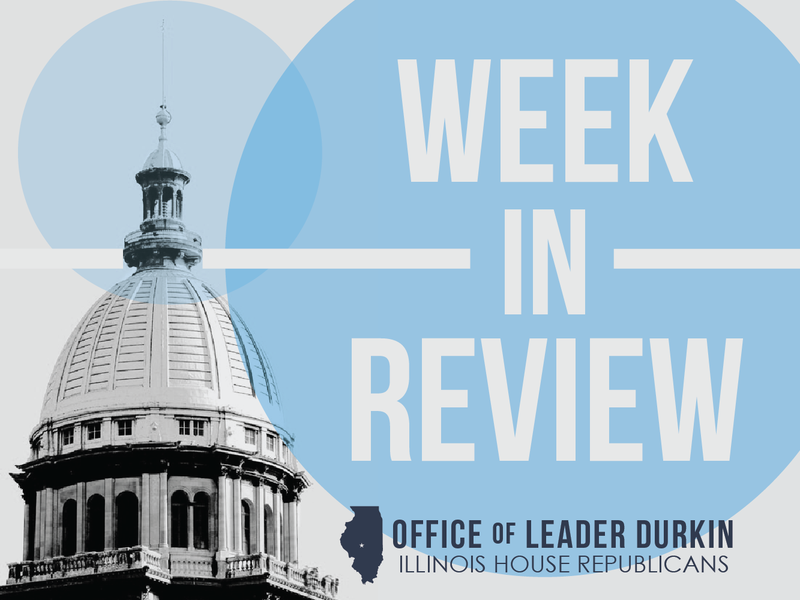 Illinois Republicans have sought, for a significant period of time, to reform Illinois workers’ compensation causation into a percentage-based causation system that matches the system to the percentage of an injury caused by the system. Under a percentage-based system, if a workplace is diagnosed as having 25% of the responsibility for an injury, the system will pay 25% of the benefits. Many Illinois newspapers have published editorials in favor of this policy move in Springfield. More than half the states (29), including many neighboring states, have adopted percentage-based or proportional causation systems. Many more states are moving toward doing so. In the 2016 spring session season, the Wisconsin Senate Labor and Government Reform Committee has approved a bill to move the Badger State toward percentage-based causation. In Illinois, workers’ compensation reform efforts are playing a key role in current moves to break the Springfield budget impasse. Governor, Rep. Sandack advocate for $200 million in annual fiscal relief to school districts. On Friday, February 19, Gov. Rauner announced his support of three bills representing recommendations from Lt. Gov. Sanguinetti’s Task Force on local government consolidation, mandate rollbacks, and property tax relief. Enactment of these three bills as legislation will save Illinois school districts and taxpayers more than $200 million a year in current needless, wasteful spending. This week the Governor has been traveling statewide to describe these measures and build support for them. A key component of the three-bill package would enable school districts outside Chicago to freely choose contractors to provide services to schools and school infrastructure. 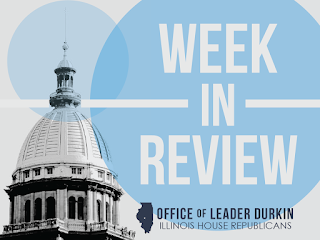 The enactment of this bill would give Downstate school districts and Chicago-area suburban school districts the ability to utilize rational procurement policy to closer approach the abilities enjoyed by property managers in the private sector. Property managers routinely contract out service sectors such as janitorial and on-site heating/cooling. HB 6164, sponsored by Rep. Ron Sandack, would help taxpayer-supported Illinois school districts enjoy some of the same abilities. Two other mandate relief measures in the same bill would lift long-standing mandates upon Illinois school districts to provide drivers’ education courses and physical education classes to all pupils. The General Assembly has, over the past 25 years, slowly piled up additional mandates upon taxpayer-supported Illinois school districts. According to one count, nearly 150 separate unfunded mandates have been imposed by Springfield on individual Illinois public school and their districts since 1990. Soundproofing tax credit aimed at homeowners with ongoing airport noise problem. Many neighborhoods west and east of O’Hare International Airport have been affected by the ongoing expansion of the airport. O’Hare, the Federal Aviation Administration (FAA), and their partner airlines hope to operate six major east-west alignment runways at Chicago’s busiest airport. The airplane noise is already significant and modern business conditions mean that the airport is active on a 24/7 basis. A bi-partisan group of legislators, led by Representatives Christine Winger and Michael McAuliffe, announced efforts to bring noise relief to the communities surrounding O’Hare Airport on Tuesday in Chicago. HB 5917 will help local residents deal with O’Hare airport noise. If the bill becomes law, new state income tax credits will be granted to owners of households that are forced to spend money to retrofit their homes with alternate building materials, such as windows or sound insulation, as a result of airport noise. Under current law, only a minor subset of noise-affected O’Hare Airport households are eligible for soundproofing assistance. Approximately 4.0 million O’Hare-related noise complaints were logged by authorities in calendar year 2015. Other Winger-McAuliffe bills unveiled in this week’s package include a measure, HB 5040 directing the Illinois Environmental Protection Agency to conduct a study of O’Hare airport noise, and resolutions (HR 960, HR 1023 and HJR 128) calling for strengthening the current voluntary “Fly Quiet” noise abatement program and asking that new noise impact maps be drawn to show the impacts of airport noise on local areas around O’Hare Airport. New bipartisan bill would provide $160 million to help State universities. HB 6409 is aimed at providing “emergency assistance” to State universities. 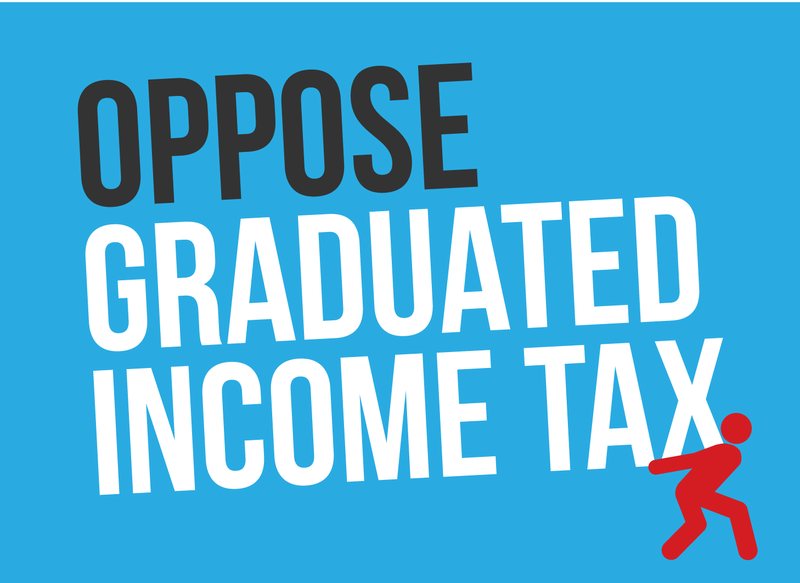 Teaching-oriented universities, such as Eastern Illinois University (EIU), have been especially affected by the current State budget impasse. With a lower research profile and fewer high-profile alumni, they are unable to derive the same proportion of their budgets from grants or gifts as institutions like the University of Illinois can get. Eastern Illinois University has announced the imminent layoff of 177 employees due to the lack of state higher education appropriations. Rep. Reggie Phillips, lead House Republican sponsor of HB 6409, led a rally this week in support of the measure at EIU’s historic Old Main campus building. Participants in the event pointed out the importance of EIU to the economy of the overall Charleston-Mattoon area. EIU and Chicago State University have warned the General Assembly that they are facing the increasing challenge of managing their remaining cash flow to meet urgent and immediate expenses. On Wednesday, February 14, citing this liquidity crisis, Moody’s Investors Service announced that EIU’s debt rating has fallen to the junk-bond level of Ba1. EIU revenue bonds had previously been ranked at Baa3, signaling bare adherence to investment-grade standards. This week, Chicago State University announced plans to move up the end of their spring term from May 12 to April 28. Drastic action, including the cancellation of Chicago State’s spring break, was necessary to revise the school schedule. Professional licensing process goes all-electronic. 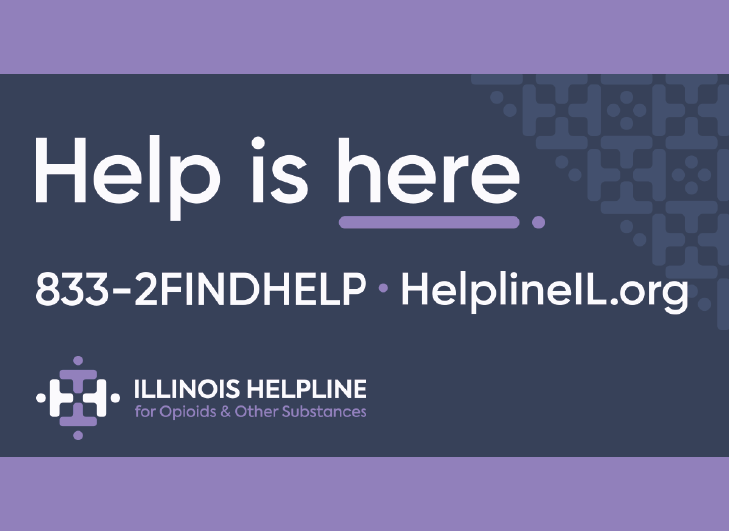 The announcement by the Illinois Department of Financial and Professional Regulation (DFPR) was made on Tuesday, February 23. DFPR is the entity that oversees the processes used to grant and renew licenses upon 1.4 million Illinois residents who are licensed to practice one or more of Illinois’ approximately 100 regulated professions. Although precursors of Illinois’ professional licensing process have been in place since the time of Abraham Lincoln, up until recently the application for a new or renewed license was always performed on a paper form and the license was printed out on paper and sent to the professional. During a recent transition period, professionals could choose whether to apply and get licensed/relicensed electronically or through the traditional paper pathway. In a move that will lead to estimated savings of nearly $3 million over a five-year period, DFPR’s Secretary Bryan Schneider announced this week that the paper has been crumpled up. License renewal notices will no longer be sent out by mail. Remaining paper-license-holders are encouraged to familiarize themselves with the Department’s online license renewal process, which is available here. Black bear sightings in Galena area. Jo Daviess County, in Illinois’ far northwest corner, is significantly hillier and more wooded than most of Illinois. Since mid-2014, law enforcement officers have received reports and photo images of black bear activity in northwest Illinois and the Galena area. Another bear was reported this week. Some of the animals may have re-entered Illinois, part of their species’ historic territory, from Iowa or Wisconsin. The bears are often seen as nuisance animals that rob bird feeders and perform other acts of scavenging. Residents are urged not to feed or approach bears and, if the animals are acting in a threatening or dangerous manner, to contact law enforcement. Get the Week in Review emailed directly to your inbox! Sign up today to get a first-hand look at the continuing legislative and fiscal challenges facing policymakers in Springfield.